Burlington, Ont. 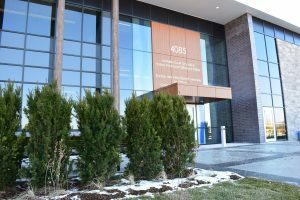 — Jan. 21, 2019— The Provincial Offences (POA) Courts in Burlington and Milton are getting ready to relocate to one new courthouse at 4085 Palladium Way in Burlington. The Milton POA Court relocated its services to the Burlington POA Court on Friday, Jan. 18, 2019. On Thursday, Jan. 31, 2019 the Burlington POA Court and all POA court services will move to the new Halton Provincial Offences Court. 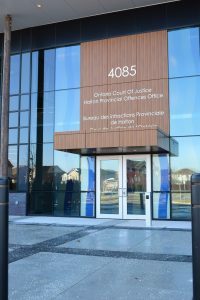 The new, consolidated Ontario Court of Justice – Halton Provincial Offences Office will open to the public on Tuesday, Feb. 5 and will begin hearing cases on Wednesday, Feb. 6. Halton Court Services is a partnership of Halton Region and four local municipalities: the City of Burlington and the Towns of Halton Hills, Milton and Oakville. Construction of the new courthouse Office began in 2017. The building was designed and built by Gross Capital Inc., constructed by Buttcon Ltd. and is leased to Halton Court Services. Highway Traffic Act offences, such as speeding, driving without insurance or failing to stop at a red light. Municipal bylaw offences, such as excessive noise, animal control or garbage disposal. Offences under provincial legislation such as the Environmental Protection Act, the Occupational Health and Safety Act, the Dog Owners’ Liability Act or the Trespass to Property Act. Criminal charges, family law matters and Small Claims cases will not be handled at the courthouse. The new facility, at 34,000 square feet (3,159 square metres), will meet today’s needs more effectively and will help Halton Court Services plan 30 years into the future. Beginning Tuesday, Feb. 5, 2019, the courthouse will operate Monday to Friday, 8:30 a.m. to 4:30 p.m. The north half of the building is a stone wall, reflecting the strong and secure Niagara Escarpment. The south half is a glass wall, symbolic of transparency—a virtue and goal for the justice system. The glass wall is lined with a series of wooden pillars representing the natural woodlands of Halton Region. The glass walls facing east and west are treated with wavy, coloured glazing to represent the character and motion of the local creeks. The thin, white roof canopy captures a thin blanket of snow overhanging to the south to provide sun shading for the glass—appropriate for a Canadian institution. The new courthouse will be a dignified building, timeless in design, welcoming to the public and comfortable for all staff using the facility.